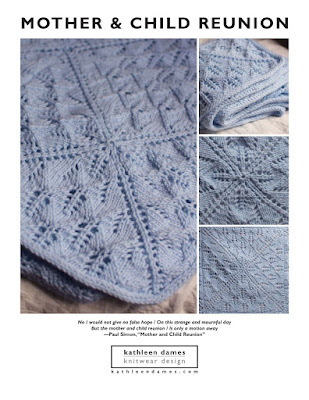 I'm joining some KALs (Kidsilk and A Sweater a Month, so far) and found this pattern when exploring what various members have been up to. Ruby Slippers for the wee set - how adorable! The first pic in the entry is hysterical. I'm thinking about a cowl/hood/smoke ring thing for my new skein of KSH. I'm on the hunt for a good lace pattern that will work in the round, stretch my abilities a little, but not make me crazy. Any ideas?